* 'G' lenses are not fully compatible with the F4, N90-series, N70, N8008-series and N6006 (or older model) cameras, only programmed auto or shutter-priority auto exposure mode can be used. Put simply, chromatic aberration is a type of image and color dispersion that occurs when light rays of varying wavelengths pass through optical glass. In the past, correcting this problem for telephoto lenses required special optical elements that offer anomalous dispersion characteristics — specifically calcium fluoride crystals. However, fluorite easily cracks and is sensitive to temperature changes that can adversely affect focusing by altering the lens’ refractive index. is carefully calculated to match the lens type and glass used, and also to assure the uniform color balance that characterizes NIKKOR lenses. This results in lenses that meet much higher standards than the rest of the industry. Imagine being able to focus a lens without it changing in size. Nikon’s IF technology enables just that. All internal optical movement is limited to the interior of the nonextending lens barrel. This allows for a more compact, lightweight construction as well as a closer focusing distance. In addition, a smaller and lighter focusing lens group is employed to ensure faster focusing. 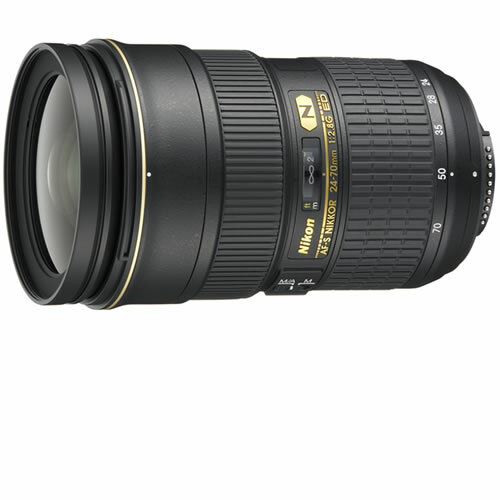 The IF system is featured in most NIKKOR telephoto and selected NIKKOR zoom lenses. The G-type NIKKOR has no aperture ring; aparture should be selected from camera body. Nikon’s AF-S technology is yet another reason professional photographers like NIKKOR telephoto lenses. AF-S NIKKOR lenses feature Nikon’s SWM which converts “traveling waves” into rotational energy to focus the optics. This enables high-speed autofocusing that’s extremely accurate and super quiet. AF-S NIKKOR lenses feature Nikon’s exclusive M/A mode, that allows switching from autofocus to manual operation with virtually no time lag — even during AF servo operation and regardless of AF mode in use.